BayNVC is home to a number of projects and groups working under the same umbrella to apply and promote the principles and practices of Nonviolent Communication. Most of these are operated and run by BayNVC staff and trainers and include private sessions, classes, organizational services, retreats, and a variety of projects designed for social transformation. In addition, BayNVC provides fiscal sponsorship and financial services to other relevant projects by request. To create a world where everyone’s needs matter and people have the skills to make peace. Personal Growth: We support individuals and families in experiencing inner peace, greater choice, integrity, and satisfying relationships by offering classes, individual coaching, and intensive programs. We work in-person as well as through phone and Skype. Leadership & Collaboration: We support organizations and leaders to respond to growing global challenges with effectiveness, creativity, and care for all stakeholders by offering consulting services, facilitation, coaching, and training. Events for the public: We offer workshops, series, intensive retreats (for individuals, couples, and whole families), and practice groups. Leadership development: We offer a variety of ongoing intensive 9- or 12-month programs. Working with organizations: We offer a range of services to such organizations as churches, businesses, schools, and healthcare institutions, sometimes on a pro-bono basis. Support for individuals: We provide NVC-based counseling for individuals, couples, and families. 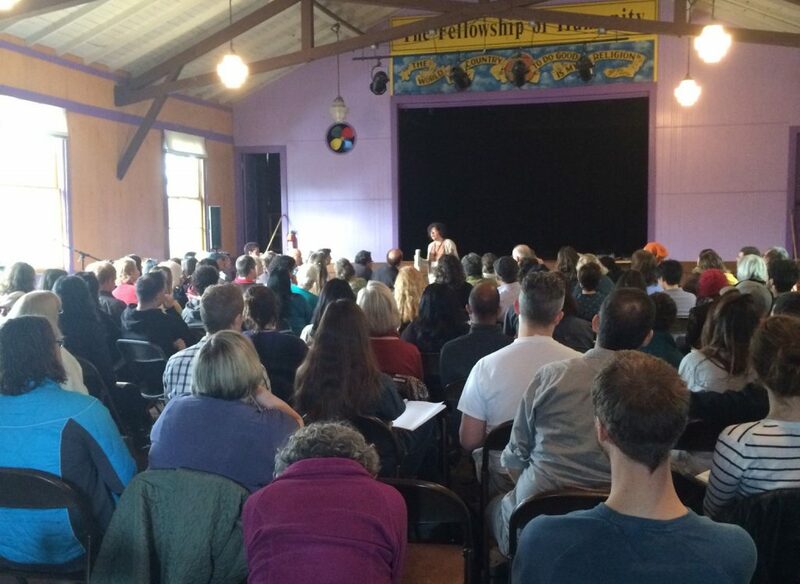 A large BayNVC workshop in Oakland in February 2015. Our trainers travel to other locations to offer workshops, retreats, longer programs. The BayNVC Leadership Program attracts participants from throughout the U.S., Canada, and a dozen other countries. Graduates of the Leadership Program teach in diverse locales such as Estonia, Sri Lanka and Thailand. Miki Kashtan travels regularly to share NVC in other countries. 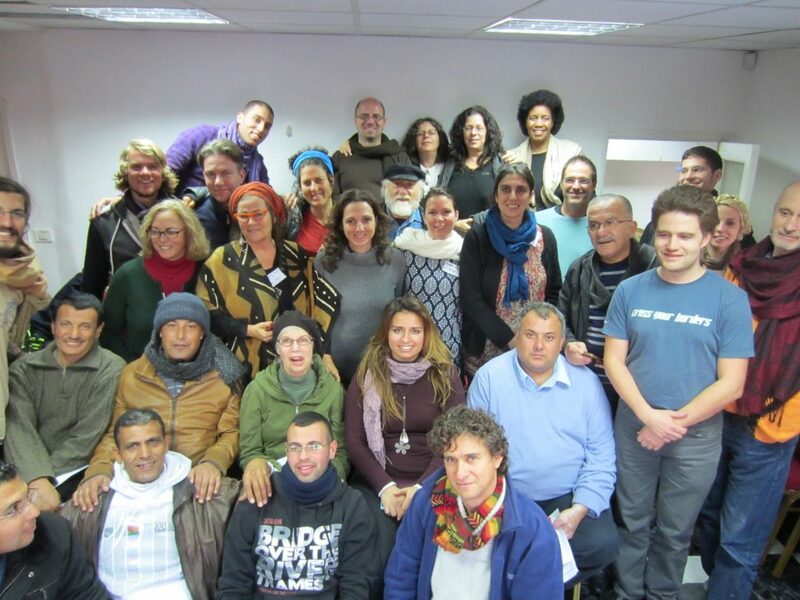 Miki Kashtan (center back row) led a 4-day training in Convergent Facilitation in the West Bank, attended by Israelis and Palestinians, in December 2013. We aim to operate with full transparency. We are committed to the thriving and personal sustainability of each person who works with the organization. We tend to conflicts as close to when they come up as possible to keep our relationships current and trusting. We maintain trust that there will be sufficient energy and attention to attend to tasks and focus on relationships at the same time. We aim to distribute decision-making as far as possible and to invite participation from all in major decisions. We are open to keep reviewing, making, keeping, and changing agreements with care. We have a willingness to adapt agreements on a case by case basis while recognizing our individual and organizational limits. We strive to let “mistakes” become opportunities so that through connection, upset becomes learning for the future. We aim to attend to our own needs even as we attend to tasks and to keep growing in this area at all levels. We make decisions on the basis of implicit or explicit understanding of the needs that such decisions are attending to. We aspire to have full awareness of the dynamics of power between us to reduce and eliminate any gap between the intention to share power and the felt experience of powerlessness anyone might have at any given moment. We cultivate huge compassion for our shared humanity when we’re not living in line with these principles. BayNVC was created in January 2002 to formalize a collaboration that had already begun among several of the locally certified CNVC trainers. We chose to come together because we believed that, by working together, we would be able to reach many more people and bring NVC more powerfully to the world. The fourth founder, John Kinyon, today. 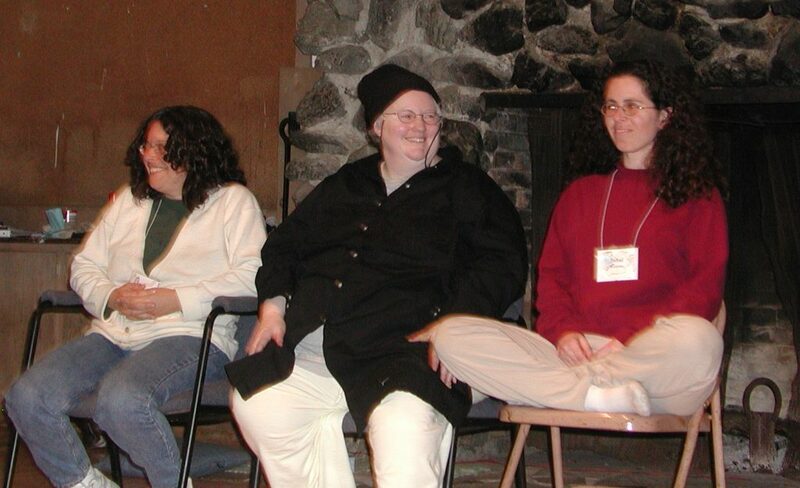 January 2001 – Our first residential retreat and, to our knowledge, the first NVC residential retreat in the U.S. or maybe in the world other than CNVC’s International Intensive Trainings (IITs). We have since conducted more retreats than we can count, well over 100. 2002 – The first year of our NVC Leadership Program, which annually attracts people throughout North America and from around the world who are interested in learning and teaching NVC, especially within an ongoing community setting. This program continues to this day. 2002 – First NVC classes offered at San Quentin. Our offerings there have grown, and we now offer 7 weekly classes to inmates. 2003 – NVC Diversity Project founded, aiming to reach people of diverse background to increase the spread of NVC everywhere and equip more people with skills for leadership and making peace. Graduates of our Leadership Program initiated the first retreat on this topic in the summer of 2007. 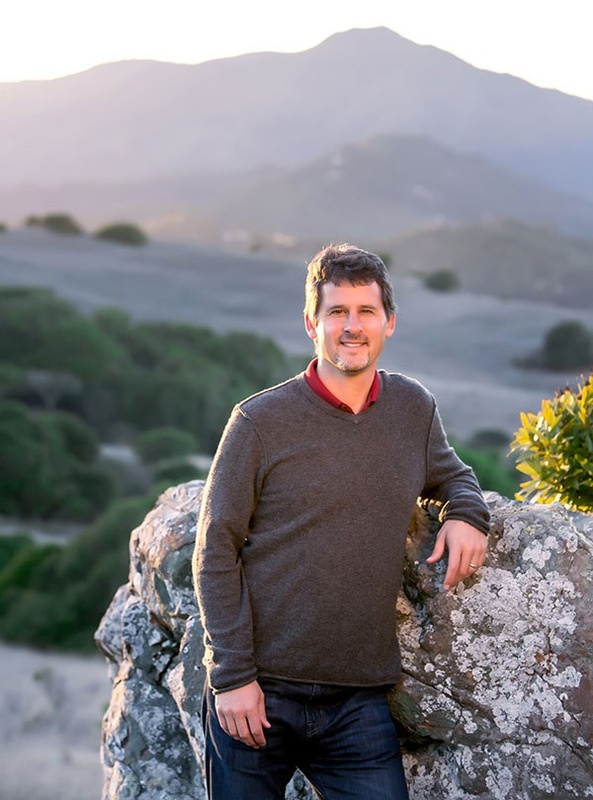 Co-founder John Kinyon left BayNVC and developed with Ike Lasater a mediation-training practice. 2004 – We began offering Foundations courses — 8- or 12-week series that have become among our most popular offerings. 2004 – Julie Greene, one of our founders, died, and Kit Miller joined us as executive director. 2005 – First “Speaking Peace” fundraiser drew 450 people and launched a more dedicated effort to increase awareness of our work and support for it. We held “Speaking Peace” events through 2010. 2006 – Two programs launched: the early version of our current Immersion Program, and the Parent Peer Leadership Program. 2006 – We hosted a gathering of NVC trainers and organizers from around the U.S.
2007 – We engaged in significant work on strategic direction, which helped us define four areas of focus aside from offering workshops: leadership development; diversity; peaceful families, peaceful world; and safer communities. 2007 – We began offering retreats outside the U.S. and expanded our services to include facilitation and consulting for organizations. 2007 – One of our founders, Inbal Kashtan, was diagnosed with ovarian cancer. Her involvement with BayNVC came to a halt and was never fully resumed until her death in September 2014. 2008 – The last year Marshall Rosenberg came to work in the Bay Area. 2009 – Training of Trainers retreats began, and the TV version of the “Conflict Hotline” started and continued through June 2011. 2009 – Kit Miller, our beloved director, returned to her hometown of Rochester, N.Y., to become director for the Gandhi Institute for Nonviolence. 2010 – Miki Kashtan’s Fearless Heart blog launched. We hosted a national conference on collaboration in the workplace that attracted presenters and participants from many states, and a yearlong program on a similar topic deepened our understanding of the vital role of transforming organizations to create a world that works for all. 2012 – Launched the Leveraging Your Influence program and retreats, focusing on supporting people to find the inner strength to bring NVC into their lives and to become agents of change and hope. 2012 – The worldwide financial crisis resulted in our staff laying itself off. We revamped our operations to become an organization run collaboratively by the group of trainers. 2013 – Started working with the Minnesota Child Custody group to find a collaborative solution to a multi-year acrimonious debate about child-custody legislation in the state of Minnesota. 2014 – Miki Kashtan published her first two books, “Spinning Threads of Radical Aliveness” and “The Little Book of Courageous Living.” Our circle of collaborative trainers expanded for the first time since 2012. 2014 – Inbal Kashtan, one of our founders, died in September. Roxy Manning, one of our collaborative trainers, took on the role of Executive Director.